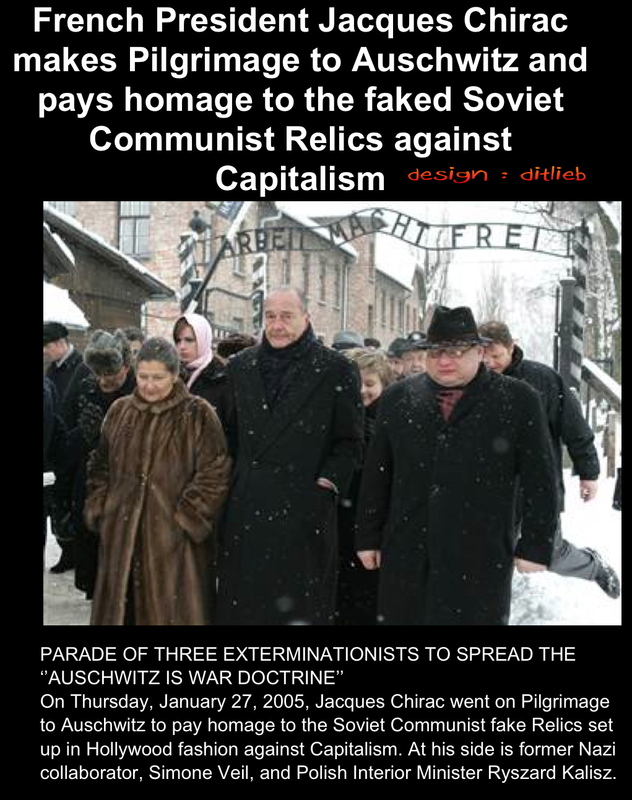 France Prime Minister, Jean-Pierre Chirac does Pilgrimage to Auschwitz Vomitorium on 27 January 2005. Peculiar enough no picture has ever been shown where he is at, or inside, Stalin’s Holy Shrine, the alleged ‘Gas Chamber’ at Auschwitz Vomitorium. To their left is the Auschwitz Brothel, Block 24. To their right is the largest building inside the Recreation and Relief Camp, the huge Kitchen which Stalin painted black in true Orwellian manner to hide it; and, where the Jewish Orchestra played and danced, listened to and enjoyed by the Jewish Sonderkommando and others, who of course were prominent users of the Whorehouse. To their back, straight up, can be found the Competition Auschwitz Swimming Pool, and to the right of that, the Maternity Ward, Block 10, where Jewish children and others were born. Both former Auschwitz Directors and Nazi Collaborators, Kazimierz Smolen, and Tadeusz Szymanski, had the Kitchen food brought specially to them, as did Nazi Collaborator, Jewish Sonderkommando, Filip Muller, and Hermann Langbein. 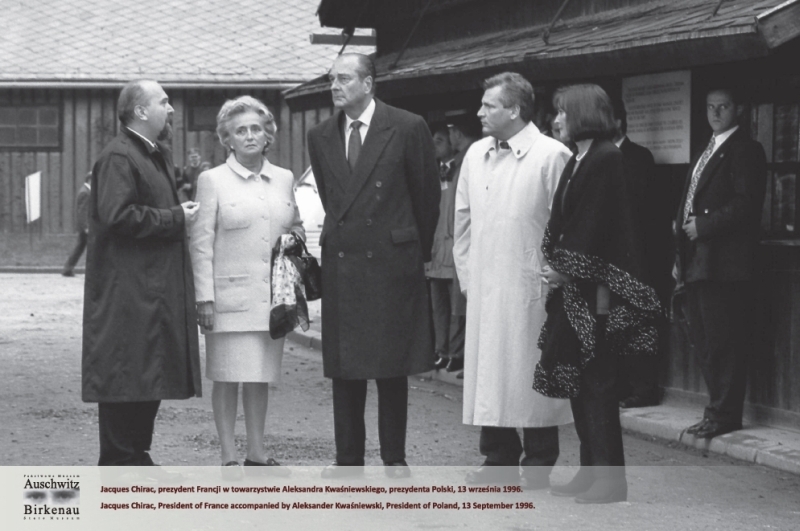 Jean-Pierre Chirac is here seen for 1st Pilgrimage to the Auschwitz Vomitorium on 13 September 1996 near what seems to be the Auschwitz Main Gate. Did he ever visit the Holy Shrine on his first Pilgrimage in 1996, or his second Pilgrimage in 2005, several years later? Why is not a picture of this shown if he did? But then, neither a picture was shown of when India’s high politician, Anand Patwardhan, when she was at Auschwitz. First we saw it was in an Indian paper, perhaps made by her own photographer. On 15 December 2011, the Paris court declared Jean-Jacques Chirac guilty of diverting public funds and abusing public confidence, and gave Chirac a two-year suspended prison sentence. When it comes to the REAL Serial Killers, Mass Murderers, even self-confessed as such, as Filip Muller, France has done nothing about it. Instead they persecute old men such as Robert Furisson. 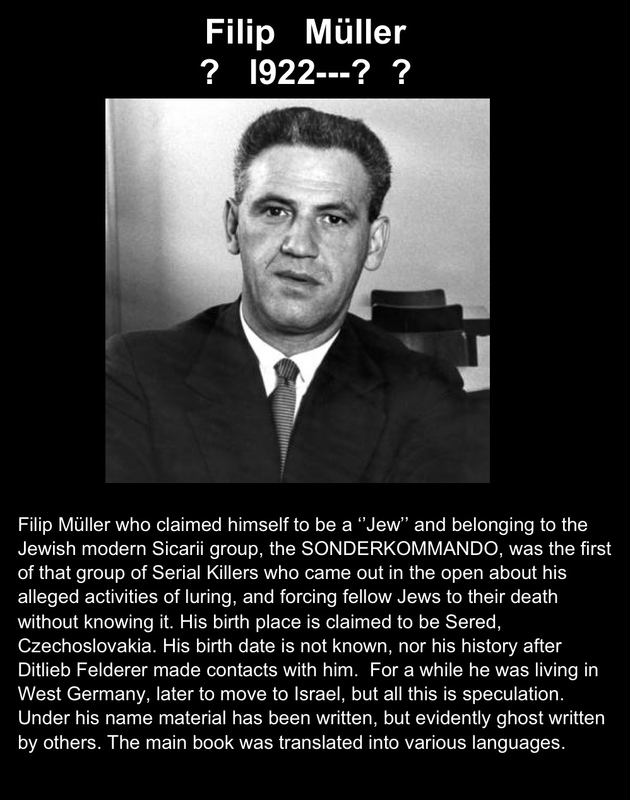 After Ditlieb Felderer had found out the whereabouts of Mass Murderer and Serial Killer, Filip Muller, Felderer requested Filip Muller for a documentary on his unique Sonderbehandlung activities of being world’s largest mass murderer. At first Filip Muller was overjoyed about it, only later to refuse. Instead he run away, being apparently secretly hiding in France for a while. The French Government did now even less about it and have until this day sought to Censor any information about the Ethnic Cleansing Serial Killing Sicarii Jewish Sonderkommando.